[Criss.AC] 2 under 1 moon, originally uploaded by Criss.AC. Taken more than one year ago, on my annual visit to Italy to see parents. 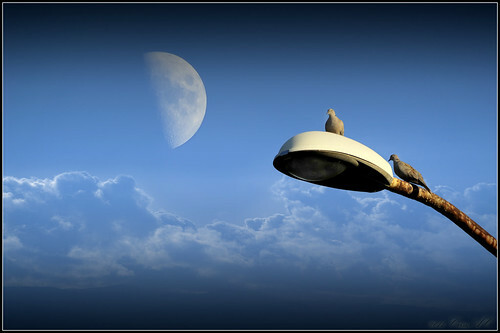 I'm not really sure what it expresses, but the two pigeons there under the moon... there must be something to it, I can't quite put my finger on it. On the other hand, I can't believe it actually took me this one long year to find it and publish it - anyway, here it is.